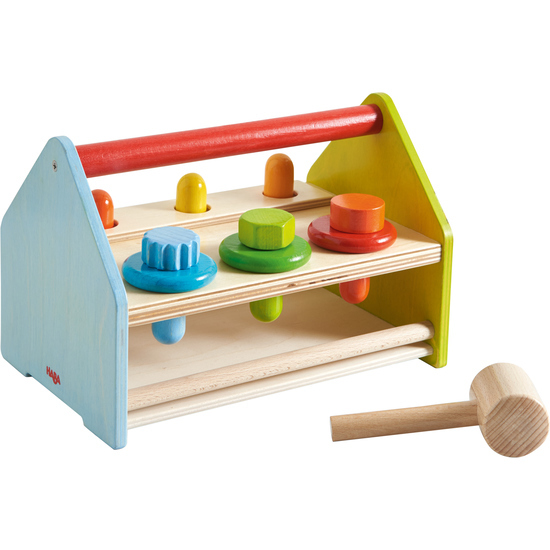 Carpenters-in-training can get straight to work with this Tool Box set of their very own. Tap, twist and repair until the project is complete! And when the workday is done, everything is returned neatly to the tool box. Contents: 1 tool box, 1 hammer, 3 rings, 3 pegs, 3 screws, 1 bar.